1. You can start practicing with your friends or in front of mirror. 2. They ask very basic questions based on personal experiences, so you can make a list of things beforehand. Don't go much into details just the points like your favorite teacher, favorite book and anything you can think of. Try to keep the entities as real as possible. Practice as much you can because that is the key. I printed out the sample answer sheets for each of them and used to practice to get the feel of test day. For writing part, sample answer sheets really help as you get familiar about word count and its coverage on sheet. It saves a lot of time on test day. While practicing the reading section, do evaluate your answers and try to find why it went wrong or why it is correct. Do read the instructions and answer accordingly. I made a very silly mistake of writing True/False in place of Yes/No in mock test. It doesn't get evaluated at all. So be careful about it. Am really happy for u. Please can u help me with tutorials in reading practices. I have been scoring 6.5 but needs 7 for it. So impressed! I hope i will get beyond my needs. Lol. But, hoping for Band 7 in all exams. I will do what you did, ill make some times for my friends too. Nice! I want to do better in my writing and speacking. can u plz help me. I am happy for you, would you please share with us some tips on how we could improve the reading skiils. I need to get 7 but I got 6. Please give some advice , I want to take a score of 7 but unfortunately I had a score of 5.5 only, can you give me some tips to improve my skills. WOW!!! Can you give me your email? It sounds so easy with you, but the reading is so difficult to scan the correct answer, if there is a way you can make me know the answer or how to choose answer. Thanks. For reading, nothing can help but practice. I did not just get to know what the answer was, I made so many mistakes when I started. Just be consistent and practice as many papers as you can. Hi, I am Narayan, My english position is not good or my english language is weak. 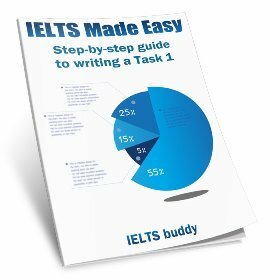 I want to study ielts but how I start and how I get good marks? If you have good idea please share me. I am Francis, I want to write ielts and my English is not good. Its difficult for me to get correct answers in reading passage can u give me some tips for it. And in speaking part what all they ask in introduction. Does anyone want to speak with me to practice speaking? I'm a beginner and didn't go to exam yet. I got 5.5 band plz jelp me to get 7.5 band within one month. How can I get 7 score for each? Actually writing and reading seems to be very hard to get high score as u mentioned above and it happens also in listening sometimes so what's the solution? 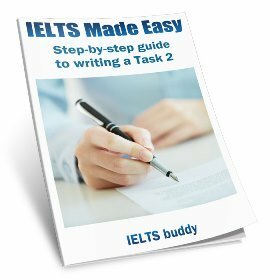 For those who are struggling to get a high score for IELTS and have no idea how to practice it, I have got the 2 most important area of English that you might as well work on in the first place if you are getting stuck with this examination. Those are vocabulary building and speed reading. Working on vocabulary building will not only help you better understand English sentences on every aspect, but will also enrich your lexical source in writing and speaking. 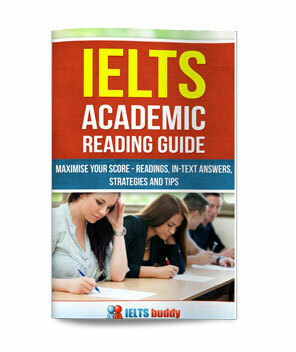 This will undoubtedly lead to improvements in every section of IELTS particularly in the reading section in which you encounter lots of high level vocabulary words. Also speed reading is a crucial ability to be capable of. This will also help in every section of IELTS by understanding the crux of any questions much quicker. If you can read 300 WPM, you will be able to finish reading all three passages in theory in about 10 minutes and spend rest of the 50 minutes looking for answers. Or you don't even need to spend 10 minutes just to read for being able to spot where might answers be on the passages. In addition, the ability will play an important role in the listening section, by being able to understand much quicker what the questions are asking for, which saves time for only listening to the voice. So that you can spot the answer more accurately. I apologize for the long sentences. I hope you all do good job in IELTS. I want to get score 7 in all sections. I have 2 months to prepare myself. could you help me to do the best? Any tips to improve it?? thnk u you for telling...but it is basic things can you tell more about reading and writing section beause i felt these two section are time consuming part..if u give more tips about these section i'm very thankful to you. Please give some advice, I want to take a score of 7 but unfortunately I had a score of 6 only, can you give me some tips to improve my skills. Will use all beneficial information from this site. I am going to have a speaking exam today just one more hour I feel really nervous, ielts exam seems really hard to me especially speaking. Thank you for the tips, it is helpful. i want to give ielts exam in january. Can we make wats app Group to improve our english knowledge and to check each other writting part? I had an overall bandwidth of 7 but requires a minimum of 8 as I had 7 and 7.5 in all the modules. Will need to practice more questions and avoid being tensed up during the speaking and listening modules. Wish u guys all the best! I have plan to give IELTS in August 2018 and want band of 9. could you please share with me the best study and practice tests available for all sections. I am ready to buy it it is worth buying. 1. Book the test with enough time on hand. Stress is only going to make it worse. 2. For every section, there are plenty of sample tests available online.Just start. Keep switching from one section to other so that you don't feel bored. 3. For me, speaking started with general introduction, then they asked if I've done any recent piece of art, which I had so I answered accordingly. Remember - there is no right or wrong answer - it is focused only on your English speaking ability. As long as you are composing your words correctly, you're good. handcrafted products and similar small businesses. 4. I wish I could help in a more specific manner, but this is an English exam with no specific topics. Just practice the sections until you're confident. 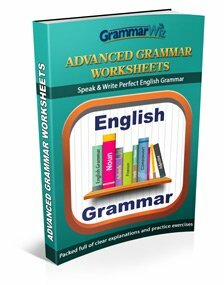 For people looking to improve writing skills, apart from practicing questions, start using proper English when you're texting someone, posting something or adding comments here. Do not use short forms and half / incomplete words. This will help during exam. 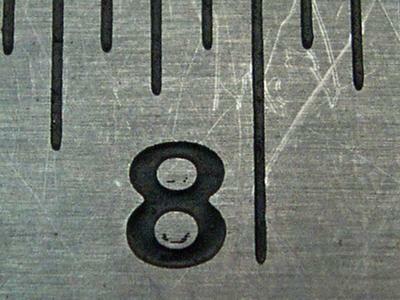 To calm the nerves before speaking, reach the center with plenty of time to avoid hassle. Drink water, take deep breaths and think of it as a conversation rather than interview. I am new to this site, can you let me know from i need to start for all the modules. I am new on this site. I am bigger I want start my ielets study plz help to score good band in lelts. I am unable to relate the introduction of writing task 1 and face problem in conclusion. I want to score at least 7.0 bands in my writing task. Please do I need to go for lectures before I can pass the examinations. Or will only constant practise of past questions help.